A major kitchen remodel or new construction project can appear to be a daunting experience for you and your family. That is why Bay Area Kitchens is here – we manage every aspect of your kitchen project from start to finish. Gather a scrapbook of notes, photos, and articles that you have collected, or invite us to your Pinterest® or HOUZZ page! If budget is a concern, come up with a realistic budget you can live with. Frankly, the more you can invest, the more good we can do. Take some photos of your existing kitchen, or get a set of plans from your architect or builder if you’re building a new home. Schedule an appointment to visit our showroom. We highly recommend calling for an appointment so we can give you our full and undivided attention. Plus, we do occasionally close the showroom to check on our projects or to attend training or conferences. 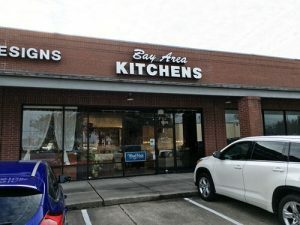 We feature Wood-Mode and Brookhaven custom cabinetry, gourmet Sub-Zero, Wolf, Cove and Vent-A-Hood appliances, Cambria luxury countertops, and other luxury products. Our showroom is designed to give you a clear understanding of the quality and performance you can expect from our luxury products and services. Expect personalized service the first time you visit our showroom. We want you to be as comfortable as possible, so feel free to roam the store on your own or have us show you around. We’ll listen carefully to your needs, and are always thoughtful in developing ideas and solutions that work within your budget. We’ll also discuss any required design fees. *It’s best to call ahead to make sure we’re in and someone is available to help you. If you’re REMODELING, we’ll schedule a visit to your home to evaluate your existing kitchen. 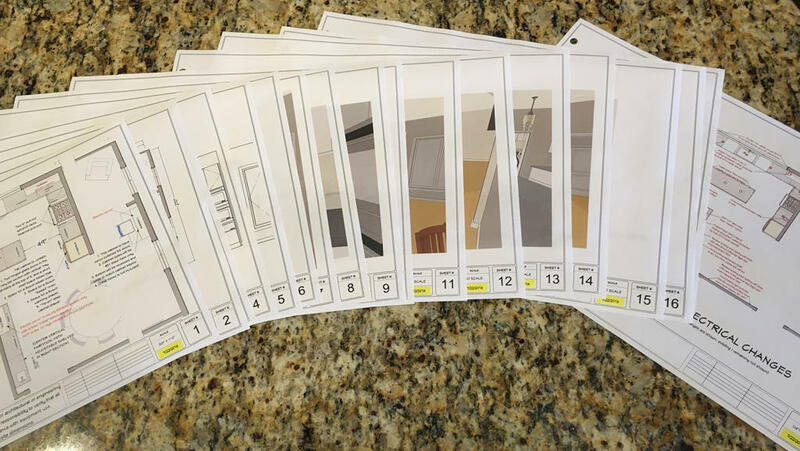 This allows us to establish or adjust your preliminary budget, take measurements, and produce a detailed design that will include floor plans and 3-D color perspectives. 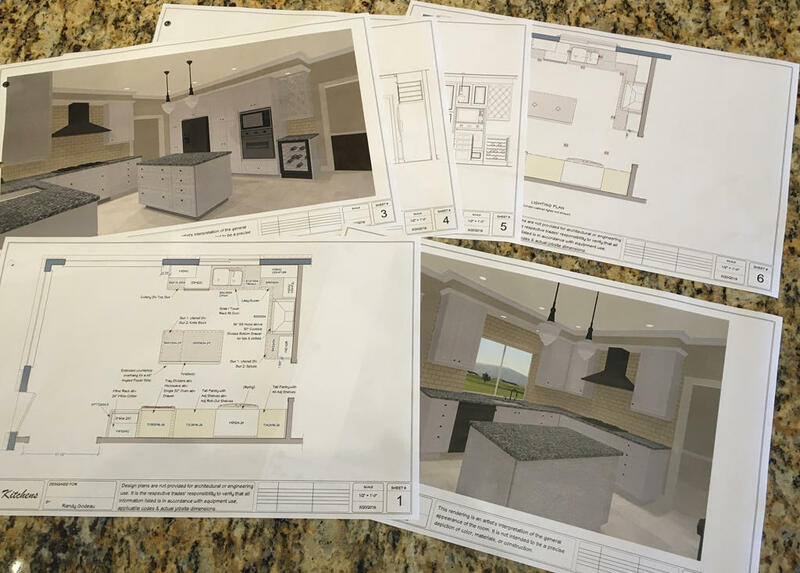 If you’re BUILDING A NEW HOME, we’ll re-imagine the kitchen and any other cabinetry on your architect’s house plans to maximize the functionality and aesthetics of your new kitchen, producing a much more detailed and comprehensive set of plans, which will also include 3-D color perspectives and other cabinet details not addressed by your architectural plans. Upon completion of the design, we will meet again to present the design to you, at which time we can discuss any modifications you’d like to make. The completed plans will allow us to accurately price the cabinets and other included products and services. Let’s get the ball rolling, and set up an appointment. Our pros will help you realize the kitchen of your dreams.